It's no secret that the entertainment industry has traditionally been fixated on the youth market. There is some reason for that: first, young people typically spend much more (collectively) on entertainment than do other segments since entertainment is often the main priority for them whereas other groups have other responsibilities. Also, the youth market has been such a large market segment for years, starting with the Baby Boom, and more recently, with Millennials, which makes it possible to focus on youth and basically ignore just about every other segment. That may not sound altruistic, but entertainment is an industry like all others. 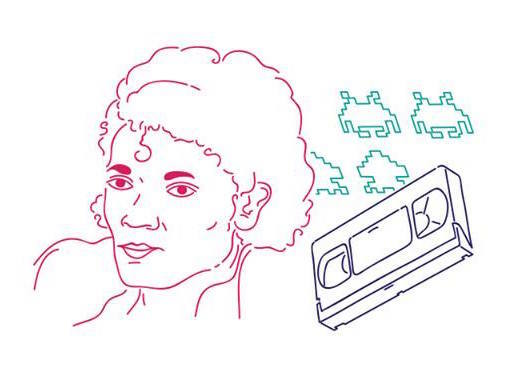 Music (vinyl records, tapes, CDs and now MP3s) and television and movies (including home video, such as VHS cassettes, DVDs and increasingly, digital/cloud-based content) tend to rely heavily on the youth market for both sales and profits. It's therefore not surprising that the supermarket celebrity gossip magazines including publications like the Enquirer, Star, People and others all tend to focus primarily on what the youth market is interested in, although youth aren't necessarily in supermarkets buying up celebrity gossip magazines -- their parents are. Indeed, many older shoppers (including many people with children) complain that they don't even know who the people pictured in the celebrity gossip rags are, therefore they no longer buy these magazines, and who can blame them? During 2014, there was an acknowledgement (of sorts) that the publishing (and media) mantra of youth at the expense of all else had left some largely untapped opportunities, which represented an opportunity for profit. Specifically, the Bauer Media Group USA, whose parent company is a global company based in Germany, reached this conclusion and acted upon it. In the U.S., Bauer publishes a number of magazine titles that are sold primarily via supermarket checkouts across America (some their titles include In Touch and Life & Style magazines, as well as Women's World, Soaps In Depth and a few others). They concluded that the older market was being ignored by traditional publishing staples, and therefore represented a sales opportunity for them. The company cited Gen X specifically in their new title's mission statement, although no doubt the new title they came up with was aimed at a market that was larger than Gen X exclusively, even if the Gen X target is likely to be more enduring than the Baby Boom will be, hence naming Gen X in the mission statement. What was their new title? The Closer weekly, which began distribution in mid-2014 in some markets, but was officially launched nationwide in November of that year once the company had penetrated the retail channels completely. The main point of differentiation is that the covers of Closer weekly doesn't dare feature the likes of Justin Bieber, Miley Cirus or Kim (or Khloe) Kardashian. Instead, the publication features pictures of older celebrities (including deceased celebs). Several recent covers featured a young Audrey Hepburn, Marlon Brando, the cast of The Golden Girls as well as celebs who are not (yet) living-impaired including Suzanne Somers, George Clooney, Sally Field & Burt Reynolds and others. The company says that the Closer weekly merges the feel-good nature of celebrity with the practicality of service for the underserved Generation X demographic, which Pew Research once referred to as "America's neglected 'middle child'" (see http://pewrsr.ch/1xbLAxe for the article). It features 100% positive editorial (although news of celebrity deaths have been featured) on the A-List celebrities its core readers grew up with. In addition, it says Closer offers a concise, sophisticated take on the home, health, food, diet and beauty information. The vast majority of its buyers (for all its publications) are all women, by a fairly substantial margin. 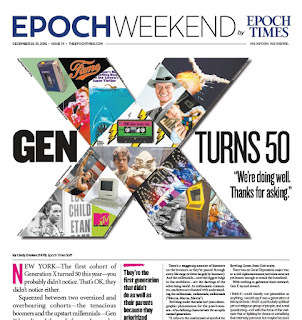 To be sure, the Closer magazine's current demos suggest more than Gen X is buying the publication, as the median age of its readers is 54, while virtually all definitions indicate the oldest Gen Xers just turned 50, as this edition of the Epoch Times Weekend indicates (get the Adobe Acrobat version at http://ow.ly/XnfwU). But, right now the fact is more Gen Xers and younger Baby Boomers are still in supermarkets each week, while the same cannot be said about all Millennials, plus the Gen Xers' household incomes are higher, too. The Closer's content is supposed to be more uplifting than other celebrity magazines, which often focus on divorces and extramarital affairs, although news of death isn't exactly uplifting, positive editorials might be. So far, what limited public data that's out there suggests yes. For example, in 2014, the Closer won both the "Hottest Magazine Launch" by trade publication Media Industry Newsletter (MIN) as well as Adweek's "Hot List" Award. Whether other big titles will adopt this strategy is unclear. For example, People, the Star and the Enquirer all tend to have a broader focus on celebrities in general (but they may rely on more negative news, including divorce and the like), hence on one issue, the cover may be an older (but not living-impaired) celebrity, while the next issue will feature a younger celebrity. Whether that drives sales at supermarket checkouts is less clear, although some titles (like Meredith Corp's People magazine) can afford to rely more heavily on subscriptions and need not be as focused on retail sales as Bauer's publications do. Regardless, it's clear that titles focused on older celebrities can still generate magazine sales if Bauer's 2014 launch of the Closer weekly is any indication. The question remains whether print will continue to be the driver, or whether digital will have a bigger focus for the relatively new publication going forward? Increasingly, the driver for tablet sales has expanded beyond the affluent and youth markets, with older and less affluent consumers driving more sales of iPads and other tablet devices. 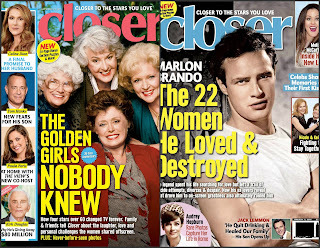 While some of Bauer's publications are focused more on print, we could see a more digital focus for publications like the Closer weekly, which may position the publication to continue to serve the large Baby Boomer population who may not be as mobile as they once were. But for the time being, it would seem that the launch of the Closer weekly is here for a while. Author P.S. June 15, 2018: There was news today (see the press release at https://prn.to/2LmIiTc for detail) that Bauer Media USA is selling several of its magazine titles sold at supermarket checkout stands, including the Closer weekly, In Touch, Life & Style, J-14 and Teen Boss to American Media, Inc., which is perhaps best known as the publisher of celebrity gossip tabloids including the National Enquirer. Bauer Media USA said it had made a decision to focus mainly on its portfolio of what it calls its women's service business, including Woman's World and First for Women, two top sellers at American newsstands as well as a title covering soap operas. This purchase adds to American Media Inc's already substantial debt load, which according to some estimates is now approaching U.S. $1 billion following this purchase.